We Deliver the Water You Need, Wherever and Whenever you Need It. If you’re a builder or contractor or any other type of company in need of large quantities of water delivered to a specific site, we stand ready to fulfill your needs. major dredging companies for their tug boats and barges. Over the winter months we invested over $200,000 in new tractors, water tankers and various other pieces of equipment to serve you better. 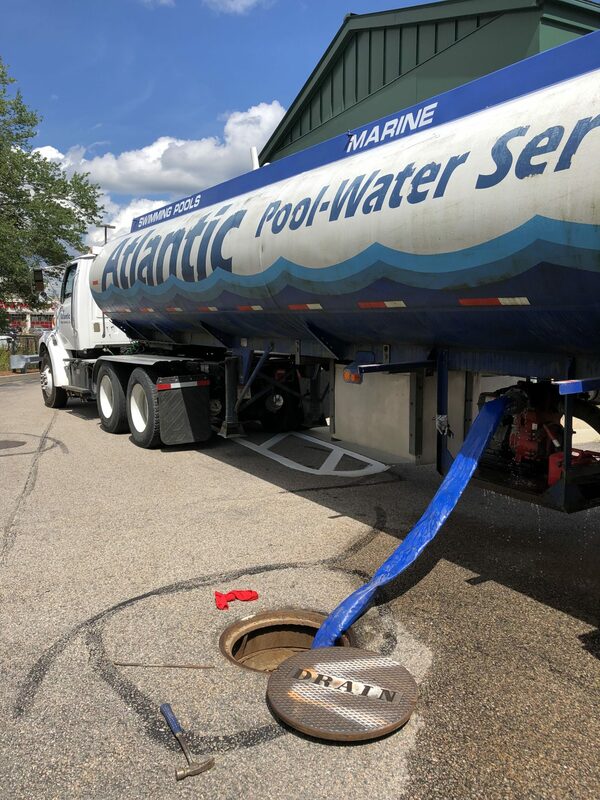 We supply construction companies with water for a variety of on-site applications, as well as delivering water to gas station construction sites, to be used as ballast for underground tanks. We also supply environmental and well-digging companies with water for use in Frack tanks. We’ve even stepped in to help out a large nursery with water for their irrigation system when they were without power for two weeks after Hurricane Irene. Our storage facilities can hold up to 90,000 gallons of water on site. We’ve recently painted and refurbished our water storage system. Each truckload can carry up to 8,500 gallons of water. And when it comes to commercial water applications, we’re very customer focused. In fact, we like to say that the only thing better than our water is our service.